To kick this off on New Year’s day would have been a little too cliched. So as the calendar ticks over to Dec 27th it was time to get the old body moving again. My beautiful Pinarello has been sitting in the garden shed pretty much since we returned from Monte Carlo in June 2013. I feel guilty. That beautiful piece of equipment took me 1,200 kilometres from London to the south of France and I haven’t so much as lubed it up since my return. Don’t get me wrong, there was a week or two after our return that saw me on the the Pin and the single speed but interest quickly subsided. As I will post here in the coming weeks London to Monte Carlo 2 (L2MC2) looks like it’s on. Interest is high and I am confident we can round up enough Financial News/Dow Jones staff and readers to make it even bigger and better this year. A slight route change is in order and the introduction of a hotly contested time trial and “King of the Mountain” stage will only add to the excitement…. I’ll leave the rest for the new year…. I completed the ride in 2013 but with little training. I want to be fit this year and have the miles in the saddle that will see me enjoying a ride in the pack rather than as an “also ran” at the back. Getting in after the other participants have showered and sunk their first few beers was fine for 2013 but, for me, will not do in 2014. I am approaching this head on and have devised a clever exercise regime to combat my usual inability to follow any exercise regime. I am simply going to do two things. Set some goals and exercise 4 times a week. That’s it. I am hoping that the “loose” nature of this programme will stop me getting bored and stop those pangs of guilt one gets when following a strict programme that invariably cannot fit into a normal persons schedule. Also by just setting the 4 times a week target I leave myself open to a myriad of different activities from cycling, squash, swimming, running and dare I say it maybe even one of those classes at the gym I would usually pass by with a giggle. Tough Mudder. Signed up for the West London April run under the team name “Keeping up with the Dow Joneses” – please join me. More to come but this feels like a good start. Then I joined a Gym. Nuffield has facilities the shortest walk from my office and my house and so was an easy choice. I remember from getting fit before that interval running is a pretty good way of burning fat. Run for 8 mins then alternate 4 mins fast running and 4 mins jog. Continue for an hour. Only problem with that is it would currently kill me so I settle for 20mins on the treadmill alternating between walking and jogging. Horrific. Next on to the rower for 10 mins at a steady 30 strokes/min. This would have been fine had my left leg not started cramping at 3 mins. I soldiered on but… horrific. I had taken my new goggles (thanks Santa) and some rather fetching swimming trunks but after the rowing machine I had images of cramping up and drowning (not being the best of swimmers anyway) so I’ve left that for another day. A little stretching and out I strolled from the Wandsworth Nuffield into the bracing evening air with that feeling we all have after an infrequent visit to the gym “why the hell don’t I do that more often”. 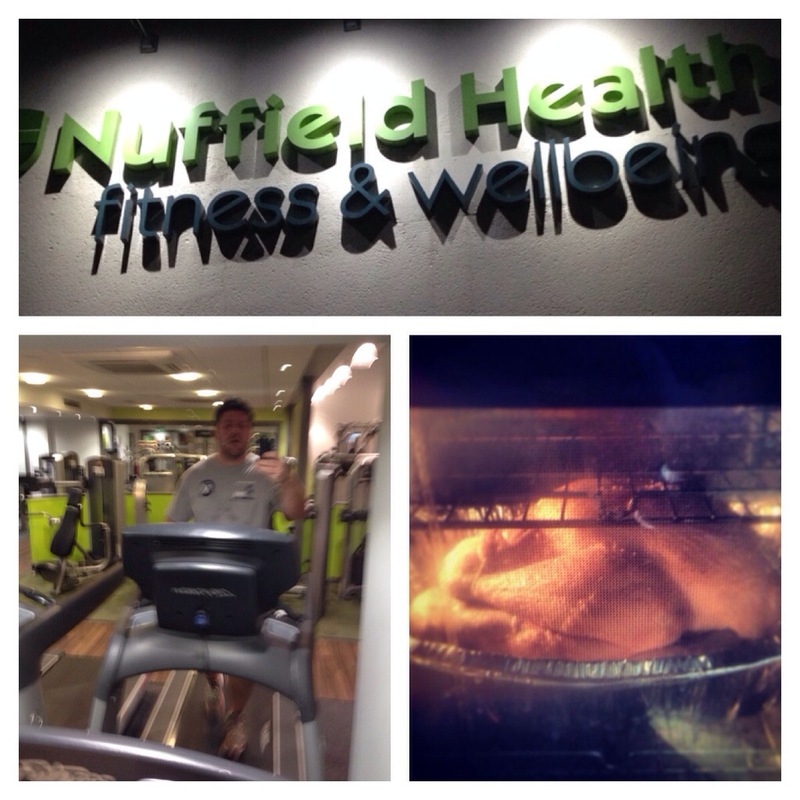 This entry was posted in Uncategorized and tagged exercise, l2mc2, nuffield by jcdw10. Bookmark the permalink.